Social media has become a worldwide obsession. The advent of smartphones and data connections resulted in 24/7 connectivity to a complex digital network. And over time it’s further specialized for different media types and interests. Success in such a world depends on mastering these networks. Whether that’s professional or personal success. 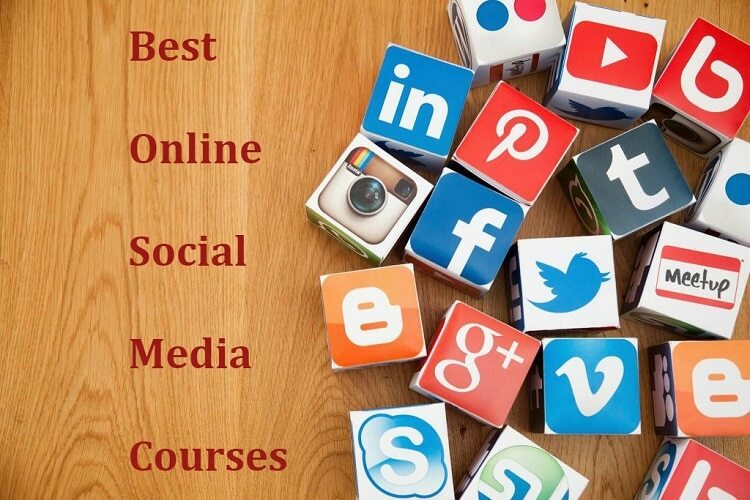 In the following list we’ll examine the seven best online social media courses. We’ll focus on cost, scope of education and overall detail of the subject matter. Advertising on YouTube showcases an often neglected part of the Internet. People are obviously quite familiar with YouTube. But it’s surprisingly rare to see people actively focussing on successful YouTube advertising. Or at least beyond the common idea of viral videos. Students have a chance to learn a more modern take on YouTube. It takes many time tested marketing ideas from television and applies them to this new social media platform. For example, proper targeting of one’s demographic. The course is unquestionably one of the best online social media courses. But it receives a lower overall ranking due to specialization in a single platform. However, it's a strong option if one has particular interest in YouTube. Certificate: No, but acts as a prerequisite for later accreditation. Search and Social Media Marketing for International Business touches on another fact which people often forget about. People often forget that the Internet falls under the idea of a world wide web. Any online activity involves an entire world of viewpoints and ideas. This course touches on how to best leverage social media to that international market. Part of the course deals with cultural considerations. And one can also expect basic technical coverage for the biggest social media platforms. But it also provides a rare look into legal considerations when dealing with an international market. This makes it one of the best social media courses for people looking at larger spheres of influence. Cost: Non-certified is free. Digital certification plan costs $25.95. Media Studies – Gaming, the Internet and Social Media touches on an essential part of online culture. Social elements first showed up in mainstream consoles around 1998. A few years later it had become the norm in home gaming experiences. At present nearly 50% of the adult population in the US plays video games. And nearly all of the younger demographic grew up with online gaming. But Media Studies remains one of the only online courses to view this demographic in terms of overall influence. It begins by examining gaming’s historical development. The course pushes through those subjects right up to the present. And every step shows how one can adapt social strategies to gaming. This makes it an especially important consideration for online social media courses. Viral Marketing and How to Craft Contagious Content puts heavy emphasis on one particular type of social media. Viral marketing is quite possibly the most well known application of social media skills. But at the same time, it’s one of the more difficult techniques. This course puts heavy emphasis on a concept of ideas as memetic agents. It shows how ideas can become socially sticky. And students can also apply these idea to all forms of digital communication. Open DS106 sits as one of the more in depth examples of online social media courses. It's based on a successful course offered by the University of Mary Washington. Students can expect to learn all of social media's fundamentals. However, the real strength of this class comes from how it looks at social media. The university level foundation really shows in overall course structure. This makes it especially important for students interested in social media methodology. Social Media Marketing – Complete Certificate Course ranks high on the list with one important consideration. One should view it as part of a greater whole within the Udemy system. Students begin by learning the basics in this complete certification course. It covers the foundation of online social media. The course don't just look at individual platforms either. It covers all of social media's biggest names. But all within the context of the frameworks they exemplify. This ensures that one is properly prepared for new developments in years to come. It's important to note that one can take the class in isolation from anything else. The fact that it's valuable alone would provide a good ranking. But it's also among the best online social media courses for building a solid foundation. And in particular it leads into the Udemy social media marketing masterclass. The Social Media Marketing Masterclass builds on an already established education in social media. What makes it notable is how advanced one's skill set can become after graduation. Social Media Marketing teaches advanced concepts which sit outside the scope of most other options. It's among the best online social media courses for people who want to master the subject. The course includes advanced topics such as SMM and IFTTT automation. It even showcases how strategies like PPC can simultaneously move through multiple platforms. Finally, there’s one major point which readers need to keep in mind. All of the topics touch on the fact that social media evolves at a rapid pace. This is also why it’s so important for readers to weigh in on their experiences. Discussing online social media courses helps to highlight practical real world experiences. It can help people learn about new types of social media. Or even gives people a chance to discover new elements of current favorites.